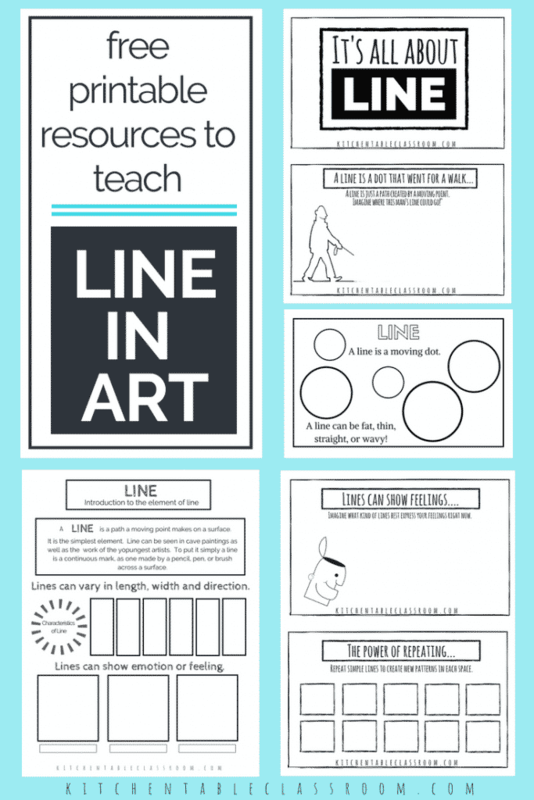 Printable resources to help teach the element of line….. Depending on the age of your kiddo starting with some basics in the form of printable resources can be an easy and efficient place to start. 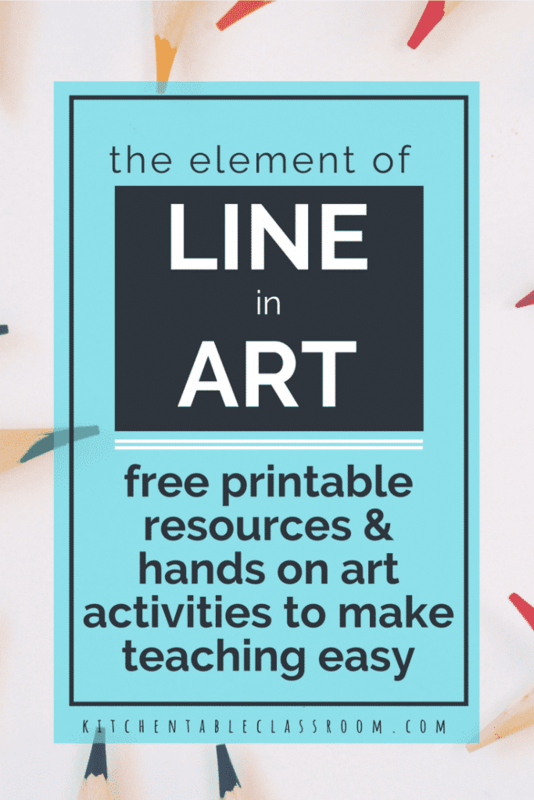 This free one page printable focuses solely on the element of line and packs a big punch by covering the basic definition as well as allowing kids a place to explore making their own marks. This printable is part of a series of one page printable resources that cover the elements of art. A link to each element can be found in this post. If you want to spend a more time on the concept of the the element of line in art this free eight page book all about line. Learn how a line “closes” to make a shape, draw lines with feelings, indicate motion with lines, and more. All you need is a black marker or pen and you’re ready to tackle this resource! And, if you want to cover all the elements of art, this free printable elements of art book is the place to start. Each page covers one element with a simple definition and place for an example. 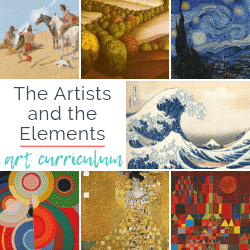 This would be a great introduction to the elements of art for the elementary age crowd. Children’s literature is one of my main secret weapons for teaching little people. Illustrated kid’s books capture the attention of little kids and big kids alike and bring concepts to life. 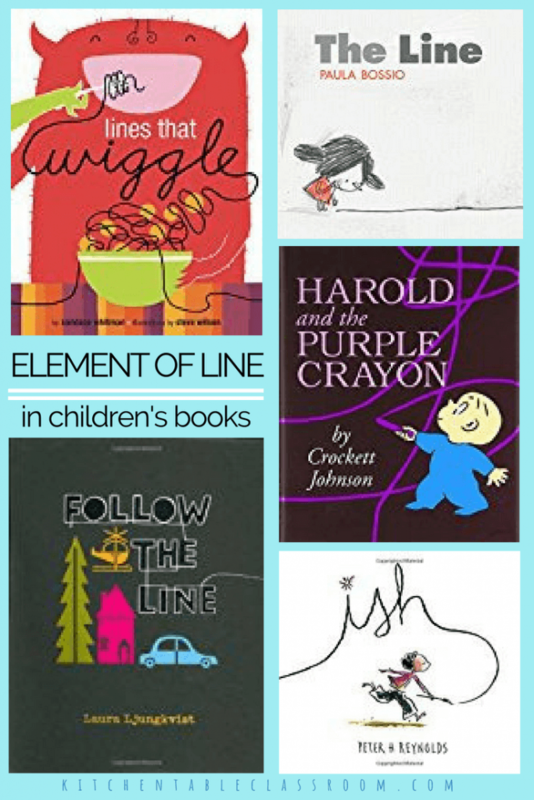 Check out this post to see books that relate to all the elements of art. 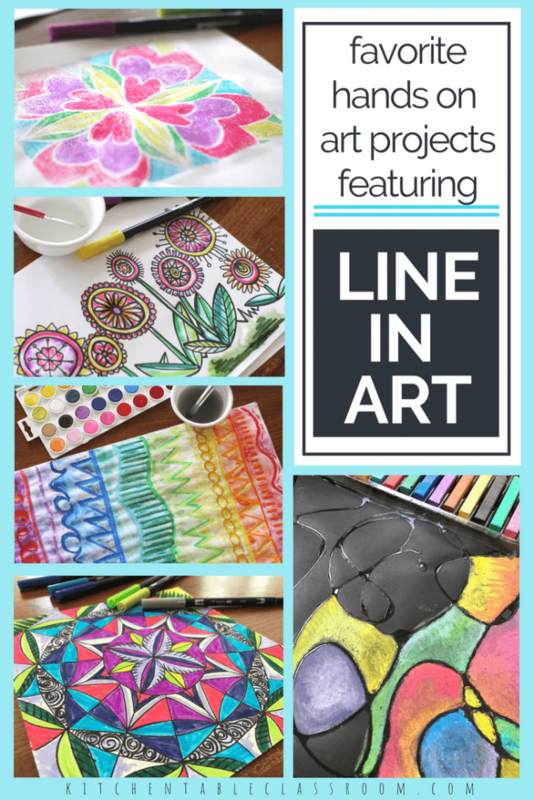 Six amazing art activities that focus on the element of line in art…..
Watercolor and oil pastel pair together for this line exploration drawing project. Oil pastels resist watercolor giving this simple drawing exercise some “wow!” Read this post for details. This directed drawing exercise features flowers with lots of pattern made from combining simple lines. Use black Sharpies and washable markers (you probably already have these) for a bright colors that look like paint without the mess! Updated to add this post now contains a free video lesson- just click play and draw! Traditional line drawings turn into comic book cartoons with these six free printable comic book page templates. Take a simple line drawing, even a scribble, add some glue and chalk and it becomes something totally new. This drawing with glue project is a winner for both the the littlest artist and more skilled big kids! Draw a mandala using the free printable templates in this post. Repeating lines come together for this project perfect for older elementary age students and beyond! 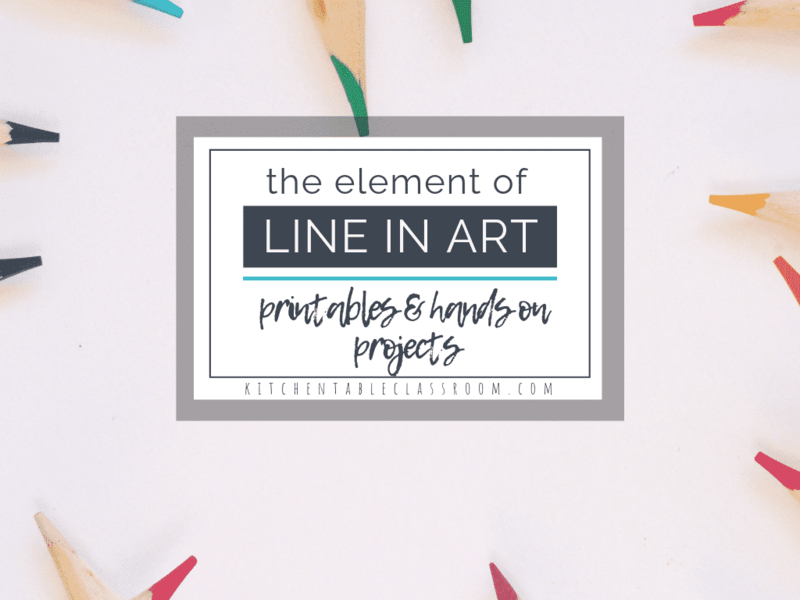 If you enjoyed these printable resources and hands on activities that feature the element of line in art I hope you’ll consider sharing them on your favorite social media channel.